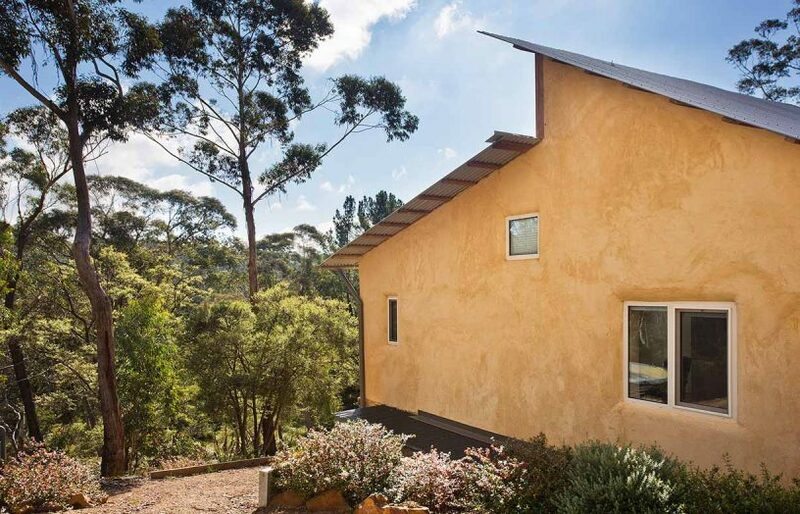 Nestled on a large bush block in the Blue Mountains, the house was largely built with materials sourced on site or locally, reducing transport, packaging and waste. If you’ve run a successful Wellness Retreat for 10 years, managing a business, property and clients year-round, how hard can building your own home be? 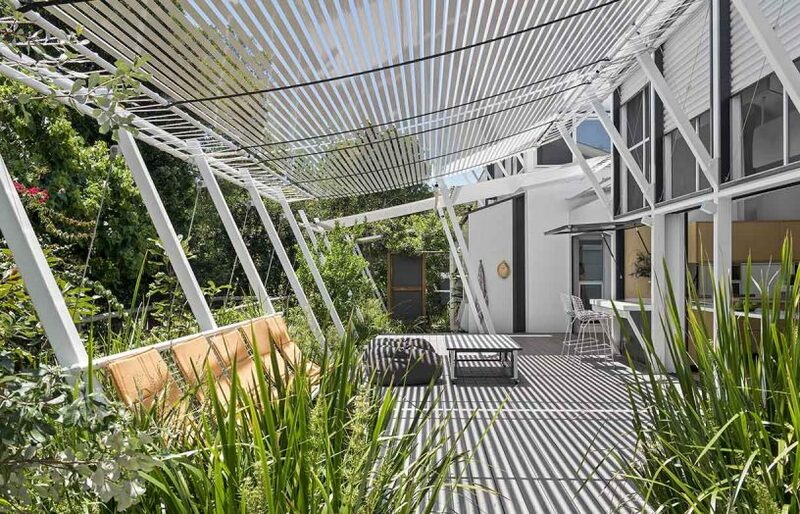 “Unbelievably hard”, laughs Miranda Corkin, owner-builder and designer of her own home in the Blue Mountains. Several years ago, Miranda and her husband Mike had swapped their business for the dream of building their own home. 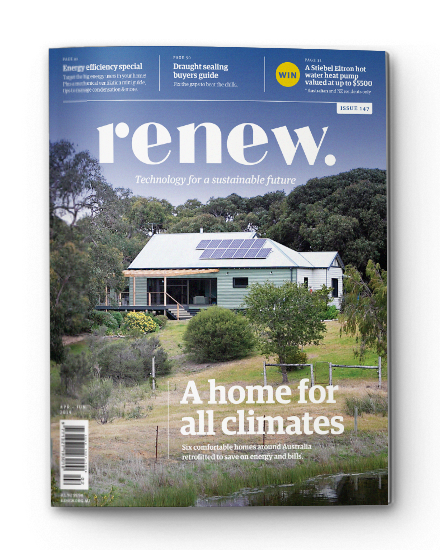 Through running the eight-bedroom cypress-log retreat they’d learnt a lot about the importance of a building to health and happiness, and they wanted to build their own sustainable home for the same or smaller budget than a typical new Australian home. But the transformation from owner-builder – an ambitious undertaking by anyone’s measure – to owner-builder and designer took root while Miranda was sketching out initial ideas for the home. 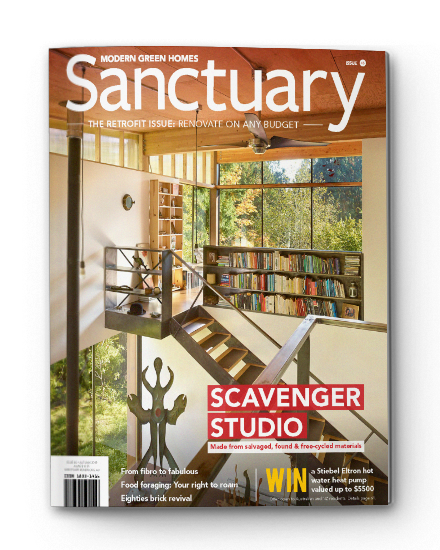 “I’d dreamt about building the house, but never imagined I was creative enough to design it, too,” she explains. That confidence she built over time. 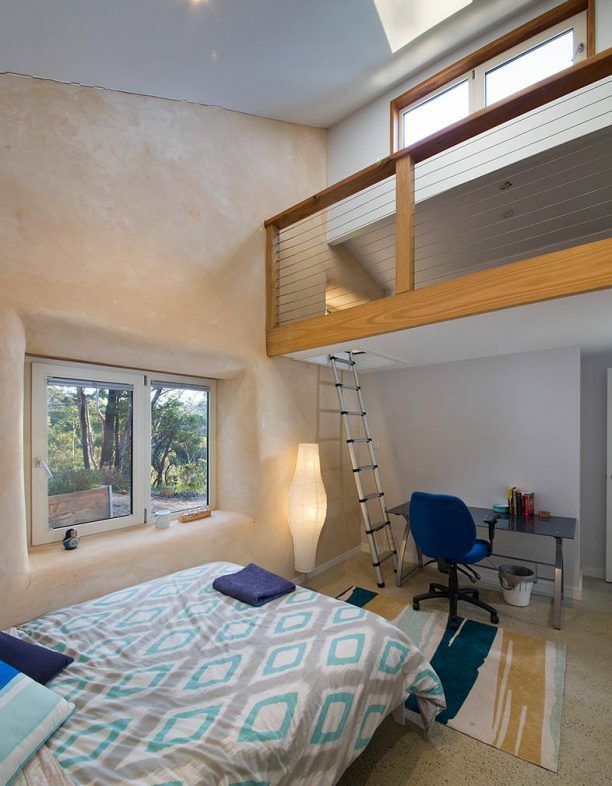 Miranda’s design conceived a two-level, four-bedroom family home made of strawbale, recycled tyres, earth and five-metre-high cob walls. But bringing the home to life for the couple with no building experience was a challenge. Mike was “handy”, explains Miranda, but she wasn’t. Nonetheless, labour for the project was provided by the couple, both fulltime over two years, plus specialist trades and craftspeople, the “small community of sustainably minded and happy-to-help friends and family”, and around a dozen travellers over the build period, she explains. Two curved walls cradle the main living space. 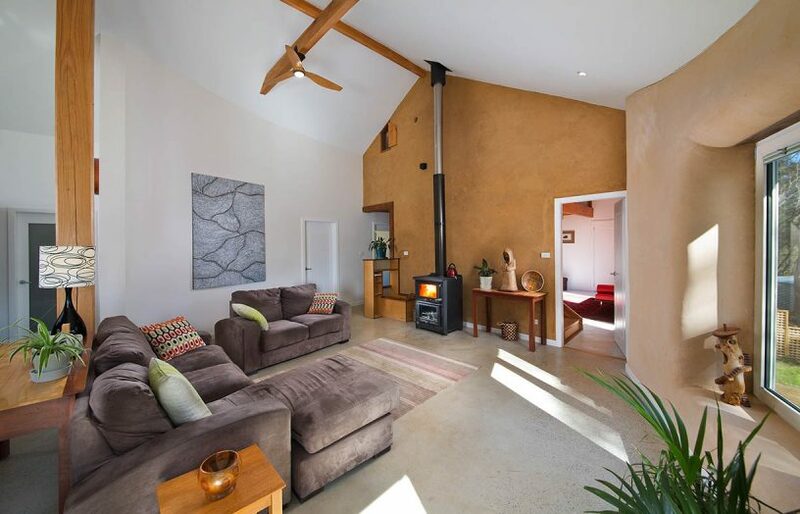 The concrete slab floor contains an in-slab hydronic heating system powered by two Sanden heat pumps. 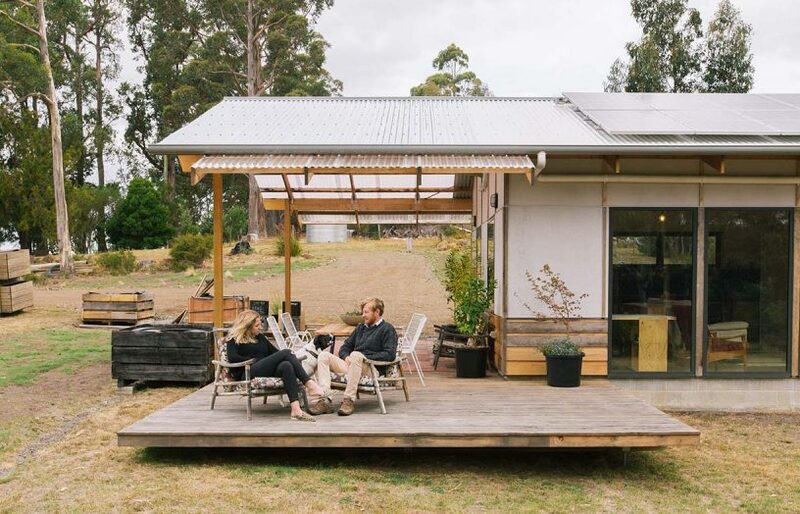 Sourced through the HelpX website, international travellers stayed with the couple in their nearby rental accommodation in return for helping with the build. Their invaluable labour was largely “lugging” wheelbarrows of soil here and there, says Miranda, with the exception of the Scottish bagpipe playing professional dry-stone waller who happened to turn up at just the right time to build a beautiful dry-stone wall that runs the breadth of the house. 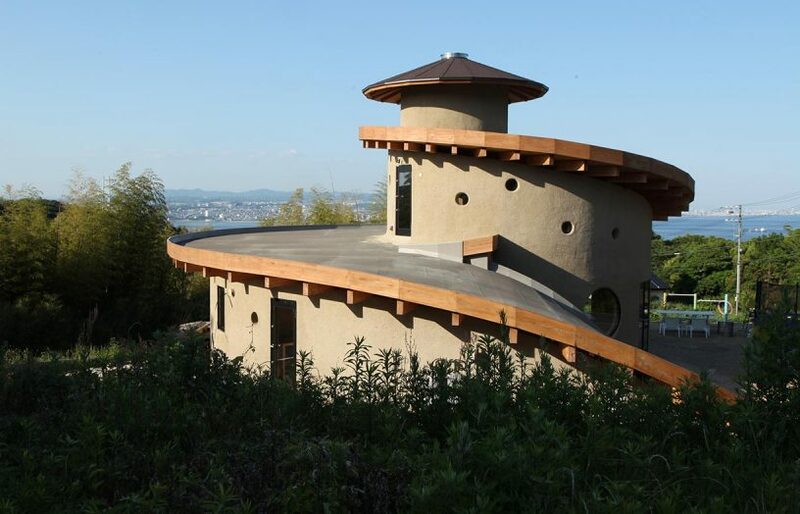 A key innovation for the home was the couple’s intention to use local building materials wherever possible. Needing to clear 15 to 20 trees from the bush block for the access and the house, the couple milled and stored the timber onsite. This approach has furnished the home with delightful touches such as the main timber beam in the living room that was once the trunk of a tree less than 20 metres from where it originally stood. For others considering following in their footsteps, Miranda outlines some of the highs, lows, and lessons from the project. “We were flagging about three quarters of the way through with all that daily physical work.” But what kept them going, she says, was the community that formed around the project, and the build stages of the home itself. Using different sustainable building materials for the home created ongoing variety for the team: one month installing hydronic heating coils, the next applying lime sand render, for example. If she had her time again, there are a couple of things she’d do differently. 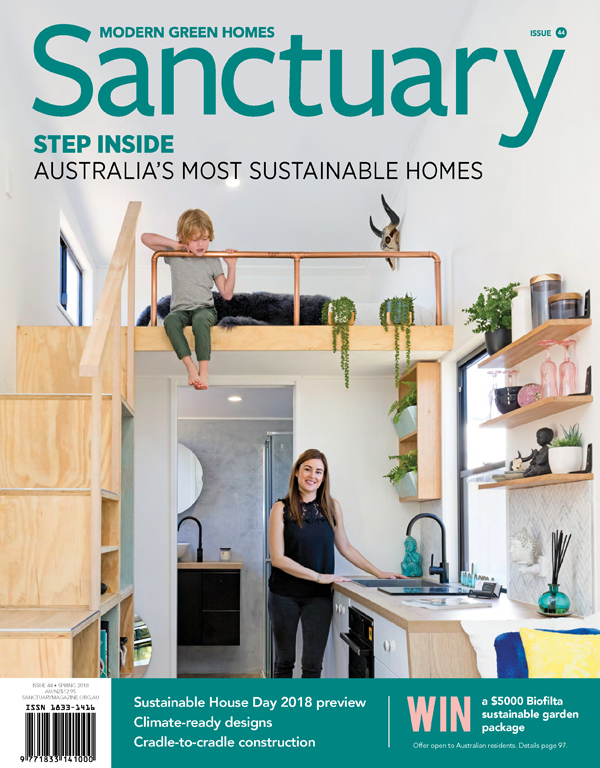 “Even though it’s economical to run, it’s too big,” she states emphatically of the 300-square-metre home that required additional labour hours for the build and impacted ‘buildability’. “We had to do a lot of the work up on scaffolding. Strawbaling and rendering on scaffolding is really hard. 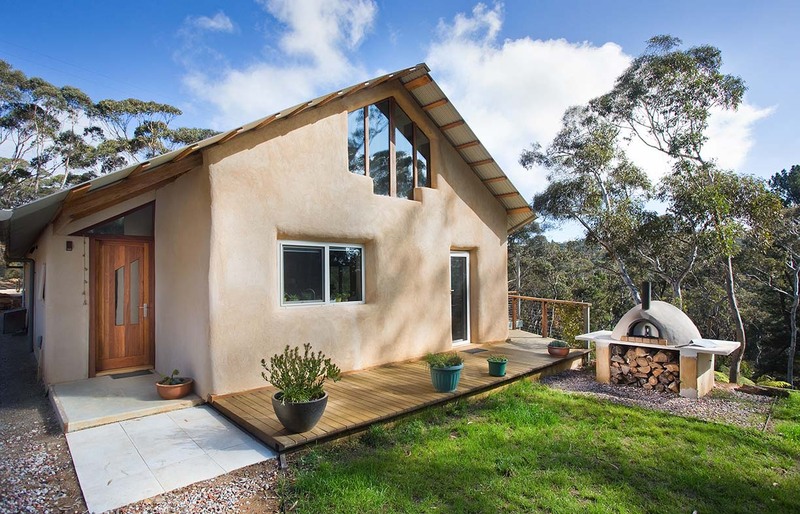 I would now only ever use strawbale and heavy building materials where you can easily reach them.” Of the size, Miranda notes that although the home is large for her current needs, it was designed for adaptive reuse and the whole downstairs can function as fully self-contained accommodation. “Grand designs are always going to be the starting point of new house dreams, but I’ve learnt, of course, smaller and simpler are always going to be easier to achieve,” she says.